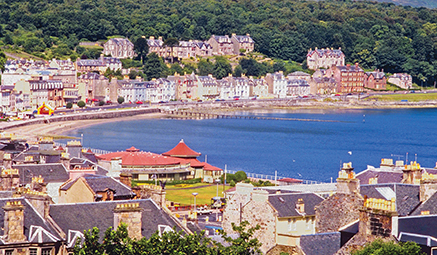 With beautiful gardens, green forests, historic statues and shimmering expanses of water, Dunoon is a joy to visit. 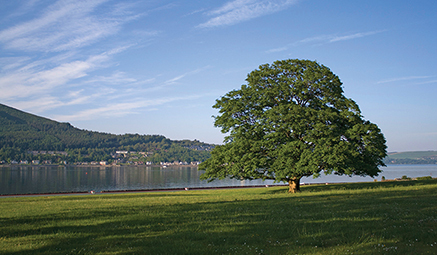 Nestled on the shores of the Firth of Clyde, Dunoon offers a perfect opportunity for a relaxing holiday or an ideal base for experiencing the spectacular scenery of the Cowal Peninsula and the Argyll Highlands. The Isle of Bute has long been a favourite for holiday makers too; its spectacular seascapes and attractive principle town of Rothesay make for a delightful day out! Isle of Bute - Full Day - exploring the island’s stunning coastline, as well as the seaside town of Rothesay. First we’ll cross over on the Colintraive Ferry and drive alongside the Kyles of Bute, where sweeping green hills meet plunging blue waters that take your breath away. Afterwards we’ll head to the medieval village of Kingarth, followed by the charming waterside village of Kilchattan Bay and stunning Ardscalpsie Bay. Then on to the delightful waterside town of Rothesay. Oban - Full Day - to this beautiful bayside town with panoramic views of the surrounding mountains and islands. Journeying through Glen Aray with its sweeping hills, we’ll travel past sprawling Loch Awe, before arriving at Oban, the principal town of Argyll. 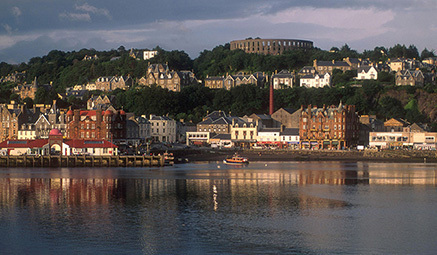 While here, sample the local produce, visit Oban Distillery (at your own expense), or take a walk up to the impressive McCaig’s Tower. Returning to the hotel, we’ll pass through stunning Glendaruel.